So far, MSK trials have been opened to patients for the treatment of a variety of cancer types, including breast cancer, bladder cancer, pancreatic cancer and ovarian cancer, as well as multiple myeloma. Upcoming studies are expected to be opened for patients with colorectal and lung cancer as well as Hodgkin's and non-Hodgkin lymphoma. An increasing number of the studies and trials are being made available at sites across the Institute. 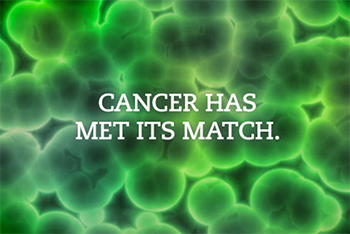 Among the newly opened research studies is a genomic sequencing study sponsored by both the Institute and MSK which aims to determine the frequency of “actionable” oncogenic mutations in patients with advanced solid or hematologic tumors being evaluated for a therapeutic protocol. Whole genome sequencing for cancer has undergone an evolution and with every passing year, there are an increasing number of somatic mutations that are linked to specific tumor types. To learn more about our research programs, call the Research Line at 860.972.4700.